I do suppose though, that one can always find something to talk about though. Like some of the really interesting posts some folks are writing. I liked this post, which will be good for down the road with highschool needs. Grading without tests. I don't know about you, but I haven't had the need to test my boy all that much. For the most part I know what he knows when it comes to the core subjects. But it makes me think about how I will have to introduce testing to him. One doesn't want taking a test to come as a complete surprise in grade nine... so I need to start thinking about this now don't you think? I appreciated this post on what if you can't afford to homeschool? It all costs money right? Some good tips were given on what to do to make homeschooling more affordable, or rather, how to work within your budget. I've read posts on colour coding your school supplies, organizing your homeschool, planning your curriculum, how to FIND curriculum and so much more. It's been fascinating and I hope you've enjoyed the ride. Tomorrow is another day as well... I hope you enjoy the reads that people will come up with. Such a talented group of people, you are bound to find something that will be of use to you. :) If you do, can you tell me what you found and why it was interesting to you? I'd really appreciate it, maybe you'll find something that I missed in the busyness. :) Cheers! "Firstborns bask in their parents' presence, which may explain why they sometimes act like mini-adults. Firstborns are diligent and want to be the best at everything they do. They excel at winning the hearts of their elders". SOURCE. This SO describes my boy. Granted he is the offspring of two people who like to do things perfectly as well. BUT my boy worries on it. He stresses over having his routines and his ways of doing things just so. Sometimes he makes us smile as he can be quite particular in the managing of his toys and games, and in the placement of items in the house. It makes him very useful at the FoodBank on Wednesdays as he knows where things should go and once he knows how to do something you know it will be done just so. Useful trait that. BUT it makes it hard to help a boy learn to do something new. Then the concern and worry can be a problem and if overwhelmed this lovely nine year old will literally shut down. Too much too fast and he just won't do it. I learn that I can give him one page with 12 questions on it and expect him to bargain about what to do.. and settle for the 10 that i actually want him to do. I can give him a program like GPA Math and watch him soar as he can skip over what he knows, and go slowly with what is new...and it is such an encouraging program that it fits for him. BUT another on-line math program we are currently reviewing, we have to slow right down and take it in bite-sized steps or it suddenly becomes too much and we have an upset boy. And then nothing gets learned until he chills out. What makes the difference? I don't always know, he'll find something that sets with him wrong and then it just goes downhill. But there are days... when yes... it's hard. When a person has had one melt down too many because one chose the wrong words to describe what needs to be done and misunderstandings occurred. But persevere we will and love the people God has made us be. 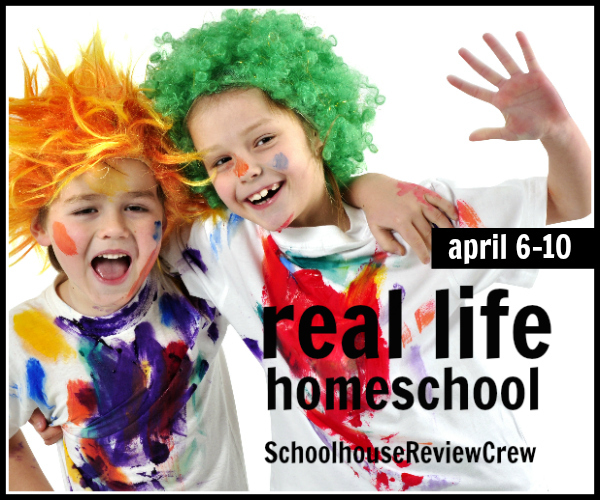 What struggles do you have in your homeschooling day? How do you back up even if you don't always want to, so you can walk at a pace best for YOUR student? I married later in life, I spent my young adult years watching my siblings raise their children and witnessed battles over food. I determined in my mind that food was not worth a major battle over. So I chose NOT to fight with my boy about what he will and will not eat. It gets a little exhausting you know. (real life eh? dealing with a picky eater and being tired of it). I have gotten tired though of the "Mom, can't you make something I like?" Since I am working with my son on how to turn complaints into questions and ways to be encouraging rather than discouraging, and how to be content with what he has.... I've decided that I will teach my boy how to make a variety of foods. To that end... Let me walk through how we are changing my son's focus from "Why can't you" to "Mom, can I help you? Can we try______???" My son likes perogies. He would happily have them two or three times a week.. but I've so learned not to do that! If he gets sick of something he simply won't eat it again. :) (not going there you know what I mean?). Anyways, we found this recipe for perogies and thought we'd give it a whirl. Ingredients for the outside part. For the "meat" of the perogies we made up a package of mashed potatoes and added a whack of shredded cheese to it. My boy is gaining confidence in the kitchen. He'll happily make the shells for me now. Then we mix up the potatoe and cheese filling, sometimes (oh my oh my) adding bits of bacon or ham to it. He's getting brave cause you know what "HE" can do it. He doesn't need reminding as much about food to find ways to be kind or helpful. He comes up with suggestions. We've made pizza using naan bread (making them more than plain cheese ones). A client at the foodbank gave him an idea about how to make mini pizza pockets. Homemade mac and cheese, home made buns and so much more. His repertoire is expanding and that is such a good thing. The other day I was busy doing dishes and he asked if he could start supper. I found him a recipe and off he went. Reading, doing math, thinking out loud, asking questions. Such a marvelous thing we've started here with the cooking. Some children's cooking sites that might be helpful to you. Schoolhouseteachers.com does a cooking class. Kids cooking activities has proven helpful. I don't know about you but I have a creative child. He draws, writes, story tells and creates. He plays minecraft and creates these little worlds that are very specific in their purpose. "DAD! Don't do that in this world. That's not supposed to happen!" Is a frequent cry in the afternoon. I find him rather fascinating at times with what he creates. I would love to be able to create more often with my child. I will come up with marvelous ideas that I think might tickle his fancy. Any thoughts on how often I am successful? Well...absolutely NONE! Yes indeedy. I have learned something very important with my lad. If I can't sell the art as a way to tell a story, we have no art. If I can find a story, I can create the art with my lad. I've learned that not finding the story means a sulky child that engages in the form of art without actually DOING the art. Finding the story... even if it's from a poem... and Voila! We have art. We found these books at the library called "imagine a day". I would read the poem of the day to my lad and then we would each sit down and draw a picture of what the story told us. We had SO MUCH fun with these books. When we were done we would compare our pictures with the picture in the book. Sometimes we were quite similar to the book and to each other and other times we had good discussions on what we did and why. Another day we worked with doing a fresca. This time I was unthinking and followed the instructions in the book about getting used to drawing with fresca by doing sample lines of colour on the material. Unhappy compliance and a negative speaking child... UNTIL I turned it into a story. What do you think might happen if we did a boat that would capsize? What would happen if we had a clan cat hunting for a mouse? This created a child using his love of storytelling to talk himself through using different colours and being willing to try different options. So tell me something, how do you do art in your homeschool? Do your children happily engage in any art opportunities that you offer them? Or are they more like my creative one... needing a reason to try something new in to make it okay? Day one of Real life homeschooling - reading. What I was feeling pushed to do was a subject that I struggle with.. the need for others. A picture on facebook this morning made me laugh cause it fits so well in many ways. Comfortable living a quiet, independent life, that's what introverts are. BUT you know what? We still need people. We still need that bonding of family and friends. We are part of the larger world and need it for a whole host of things. What do I Need others for in schooling my son? Learning to be part of a team is good for children I think. Teaches them to think and plan beyond themselves and keeps them active. My son has learned things from others that I wouldn't have thought of teaching him, due to my lack of interest, skill set or materials. 4. And the fact is that "I" need friends to. Just a couple is enough for me. Friends to share meals with, have fun at museums with and just hang out together. (friend was busy serving kids so I got a pic of her hubby with children). Friends to talk over struggles and joys. 'Tis a goodly thing you know? I have made I think some on-line friendships as well. :) The crew has been helpful there. 5. God's word tells us that some friends are closer than family. He tells us that family is what he calls us to be. So let us not isolate ourselves, introverted or extroverted, let us be with people and let them be with us. 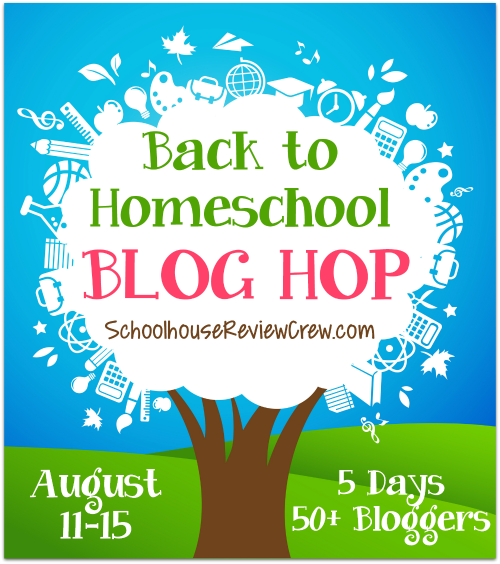 A bunch of us from the TOS crew are taking part in a five day blog hop. Here are a few to get you started on the journey of discovery. Yes, when you homeschool you don't always want to be at home. You really don't. Getting out is important as well. Change can cement learning, add a new dimension, switch things up to keep yourself out of a rut (or the children for that matter), provide needed exercise, calm the emotions and stimulate different ways of thinking and much more. Get out. Experience the world! So do some field trips if you. (some are quite affordable as well). And if you can't do that.. go for walk. you'll be surprised at what you can find. And then on over to the park and do you math while running back and forth. Spell words as you swing from bar to bar. Cement that learning using that kinetic energy. Just go out and learn. Break the routine of books and desks. 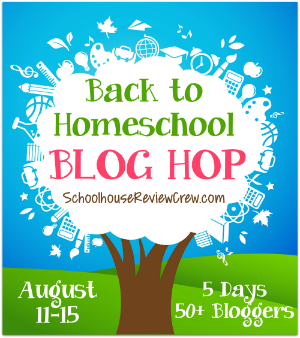 A bunch of us over at the homeschool crew are taking part in a five day blog hop on "back to school" check us out won't you? Here's a list will get you started.